Citrix Receiver is a desktop client application, it works on all popular operating systems and lets you connect your Xen Servers from your laptop, smartphone or tablet PC. Xen is the most popular virtualization technology these days and most of the production applications are hosted on Xen based infrastructures now. So if you have any Xen based servers and want to manage them using an easy to use interface, you need to have Citrix Receiver desktop app installed on your local device. Once done, you will be able to connect your Xen Servers and perform all required operations on them. It is available free of cost. 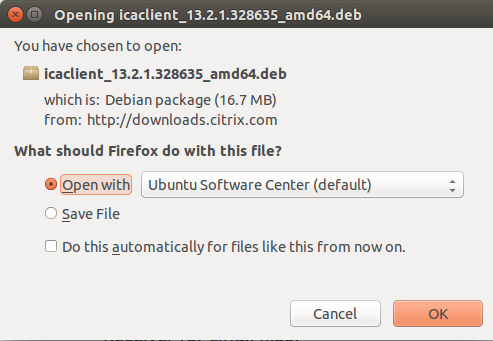 Let’s see how we can install it on two popular Linux operating systems (CentOS 7 and Ubuntu 15.04). 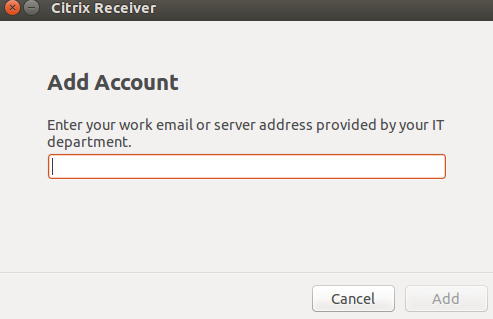 First of all download Citrix Receiver installer package for your Ubuntu system from following URL (It comes with both 32 and 64-bit installer packages, make sure you download the correct package according to your operating system architecture). Once the download process is complete, launch your system terminal and go to the download location, here run following command to install it. It might show you some dependencies errors, don’t worry, simply run following command to install those missing packages. That’s it, congratulations! 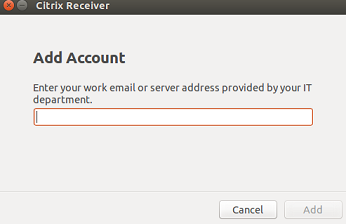 Citrix Receiver has been installed on your Ubuntu system now. Launch it from Applications >> Citrix Receiver option. Accept the License Agreement on the very first time launch. There you go, add your Xen Servers and start managing them using Citrix Receiver application. 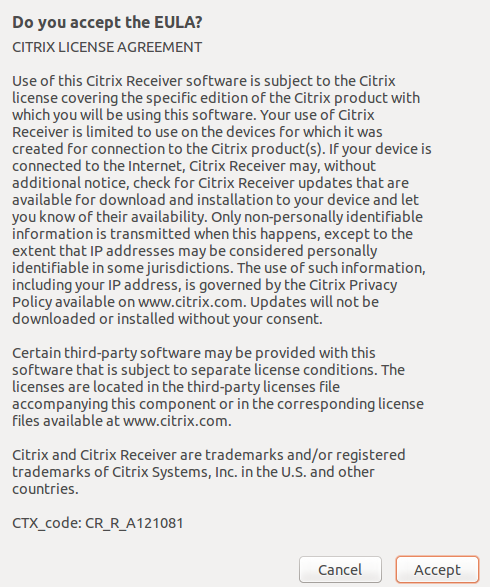 Download Citrix Receiver for your CentOS operating system from following URL. Once the download process is complete, launch terminal and go to the download location, run following command to install it. For the professional system administrators, it is a must-have application to manage Xen infrastructure. It is an easy to install application, works flawlessly on Linux, Microsoft Windows, Mac OS, Android, IOS, Blackberry etc.